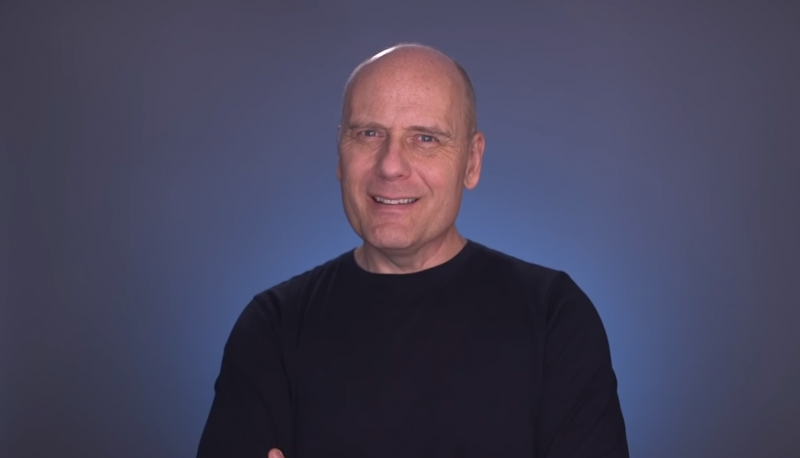 Stefan Molyneux is a cult figure and a white nationalist sympathizer who peddles what he claims to be unvarnished philosophical truths and self-help advice to his hundreds of thousands of YouTube viewers. But there’s an apparent problem with his posturing as a philosopher king: He doesn’t seem to have many original thoughts. Molyneux is the architect of “Free Domain Radio,” a platform he founded in 2006 that hawks Molyneaux’s “essential philosophy” to its fan base, which includes large numbers of young people. His style of philosophy is derivative of other right-wing thinkers and frequently serves as a vehicle for rhetoric stemming from the far right. Molyneux has hosted myriad right-wing personalities for interviews on his platform, including right-wing thinkers, conspiracy theorists, and several prominent far-right media figures with ties to white nationalism. CNN reported that Rep. Steve King of Iowa appeared on Molyneux’s podcast last year. In addition to cultural commentary and interviews, Molyneux uses his YouTube channel to distribute academic-styled dives into philosophical topics and political issues. But some people have noticed that Molyneux’s lectures fail to meet basic academic standards regarding citations, and often contain entire passages read verbatim from secondary sources as if they were Molyneux’s own pontifications and findings. In the description section of some of his videos, Molyneux will provide hyperlinks to outside sources but does not disclose that he is often reading from those sources verbatim. By academic standards, that makes Molyneux a plagiarist. Liberal YouTube commentary channel The Liberal Sanity Project, documented instances of Molyneux’s apparent plagiarism in a video published to YouTube on December 5. Liberal Sanity Project told us that they researched the video by running transcripts of Molyneux videos through anti-plagiarism software. Those instances of plagiarism were further researched by Stuart K. Hayashi, who found another instance of Molyneux using work from other sources without proper attribution in a video uploaded just four days ago. Hayashi points out that Molyneux read entire passages of text from Zero Hedge, Areo Magazine, The New Criterion, and The Epoch Times— the latter without as much as a link in the video’s description. Their research was independently verified by Right Wing Watch. Molyneux’s wholesale rip-offs apparently date back to the early days of his celebrity. Liberal Sanity Project points to a 2009 video Molyneux published that rips a passage verbatim from the Center for Family Development. One PowerPoint slide Molyneux presents contains information that was copied-and-pasted from writing by Arthur Becker-Weidman, a clinical psychologist, on the neurological consequences of child abuse and neglect. In 2014, for a video called, “The Truth About Slavery: Past, Present and Future,” Molyneux filled in bullet points from a blog posted two years prior. More recently, in 2016, Molyneux borrowed entire passages from a report written by J. Rufus Fears and published at The Heritage Foundation in 2005, only swapping in new adverbs and adjectives to fit his own dramatic delivery style. Liberal Sanity Project argues that plagiarism is rife among the far-right “intellectual” class because re-branding oppressive ideologies from prior generations is crucial to their goals propagandizing new generations of right-wing audiences. Another far-right YouTube personality known online as “Black Pigeon Speaks” was caught in a similar plagiarism scandal. Right Wing Watch attempted to contact Molyneux via the email address provided on Molyneux’s YouTube channel but did not receive a response.